Ahmed Anan was born in Bahrain in 1968. 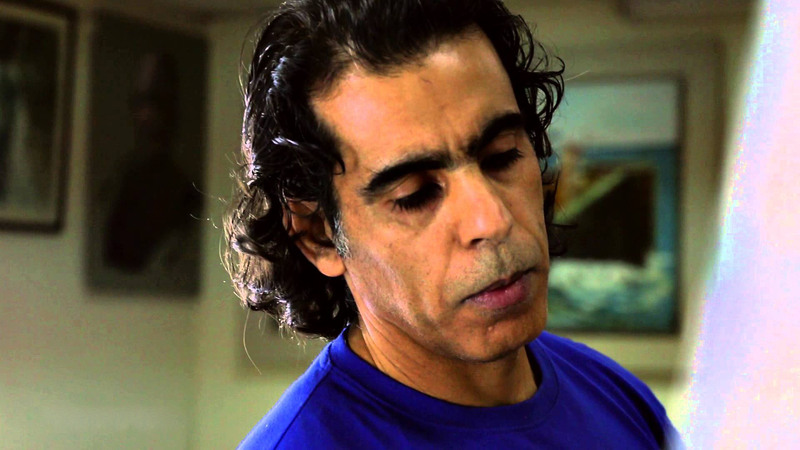 He is a member of Bahrain Contemporary Art Association since 1989. Anan received the 1st prize in The Society Annual Exhibition in 2001. His first group exhibition was also held in the Society in 1989. Later his works travelled many countries in the region in solo and group exhibitions. 2017: Solo Exhibition at Anan Atelier – Bahrain. 2016: Solo Exhibition Conceal and Reveal at Alriwaq Art Space – Bahrain. 2014: Solo Exhibition in Alkubar Design art gallery – KSA. Tqaseem 4 Exhibition with 3 artists – Fa Gallery, Kuwait. 2013: lineaments Exhibition with Qatari artists – Almarkiya Art Gallery, Qatar. 2012: Tqaseem 3 Exhibition with 3 artists – Albareh Art Gallery, Bahrain. 2011: Tqaseem 2 Exhibition with 3 artists – Art Sellect Gallery, Dobai. 2010: Tqaseem 1 Exhibition with 3 artists – in Bahrain Contemporary art Association. 2010: Courtyard Gallery, with 3 artists -Bahrain. 2008: Exhibition with Mohsen Ghareeb, in art centre – Bahrain. 2002: No Trust in Love – with writer and journalist Ebrahim Bashmi. 2017: Lammah New Year Event at Mashq Art Space. 2017: Be Bahrain – Bahrain Art Week London. 2017: Out of Time at Albareh Art Gallery. 2017: Picasso Face to Face at Mashq Art Space. 2017: The Nest at Alriwaq Art Space. 2017: Annual Exhibition of Bahrain Authority for Culture and Antiquities. 2017: Art Forum 2nd Edition at Hend Gallery. 2017: Art Bahrain Across Borders at International Exhibition Centre. 2016: The Nest at Alriwaq Art Space. 2016: Annual Exhibition of Bahrain Authority for Culture and Antiquities. 2015: Al Asmakh International Symposium of Art – Doha. 2009: First Bahrain & Alriwaq Street Art – Alriwaq Gallery – Bahrain. 1989 – 2006: All Exhibition in Bahrain Contemporary Art Exhibition. 2008: Bahrain Cultural Days in Damascus – Syria. 2004: Bahrain Asilah festival- Bahrain. 2003: Al qurain Exhibition- Kuwait. 2001: Painting Inspired from Nizar Qubanni Poetry – Bahrain. 1999: Tarfa Bin Al Abd Exhibition. 1995: Bahraini Artists Exhibition in Lebanon. 1990, 1992, 1994: Asilah Cultural Season (Morocco). 1992: 2nd GCC Periodical Exhibition for Fine Arts in Qatar. 1992: Exhibition Held in Bahrain on the Occasion of Kuwait Liberation. 1991: 7th GCC Fine Arts for Youth in Riyadh, KSA. 1989: A member in Bahrain Society for Contemporary Arts Since. 2010: Christie’s Auctions – Bahrain Museum. 2016: Print Workshop in Art Center – Bahrain. 2014: Dry point – graphic and print – Albareh Art Gallery,by artist Mohammed Khalil Omar- Bahrain. 2012: Painting in Sowaira, Morocco. 2011: Graphic (Eeaching) in contemporary art association- by artist Rafie Alnasery, Bahrain. 2012: Mono type in Fayoum, Egypt. 1990, 1992, 1994: (Graphic) in Asilah, Morocco. 2001: Won the 1st prize of the Society Annual Exhibition. 1995: Award in the Fine Art Exhibition – Bahrain National Museum – Ministry of Information. Bahrain National Muséum- Bahrain Other Private Collection.